Because Xerosis is the last thing we need this summer. (SPOT.ph) You're probably aware that El Niño can have devastating effects on our environment, but did you know that it can also cause some damage to your skin? 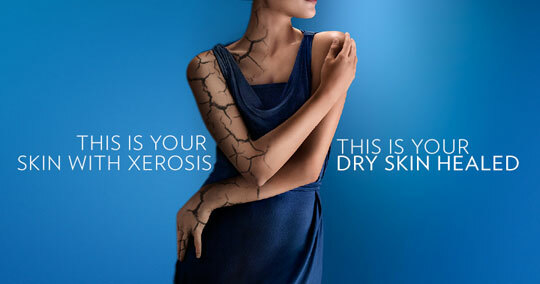 And we’re not just talking about sunburn: Xerosis, a skin condition that can cause your skin to dry up and get itchy, which is most commonly known as dry skin. All that heat reduce humidity and dry up your skin, causing cracking, flaking, itching, and scaling. Not a pretty sight, especially if you’re planning to bare some extra skin this summer. Your dry skin can get dry with everyday activities—when you take showers and hot baths for too long, stay all day in an air-conditioned environment, overdo body scrubbing, get too much sun exposure, and lack water intake. To know if you have dry skin, scratch the arm of your skin and if white marks appear, your skin is most likely dry. You can also check your elbows, knees, and heels for any signs of dryness. Read up on these easy tips to keep your cool all summer long, and get ready to face El Niño head on! Drink loads of water to keep you feeling cool, refreshed and hydrated inside out throughout the day. 2. Be a fruit ninja. Try munching on some refrigerated fruits this season. They’re cheap, yummy, and best of all, good for you! Keep a few mango slices in the fridge for a quick snack, or toss some berries and bananas in the blender for a refreshing drink. 3. Bring an umbrella everywhere. Always carry an umbrella in your bag—with the sun getting angrier and angrier with each passing day, you’ll be beyond thankful. Hot weather calls for breezy outfits! Stock up on shorts, sandos, and loose clothing to keep cool under the scorching sun. Keep the summer heat from doing a number on your skin by keeping it moisturized all day long. To heal dry skin and keep Xerosis at bay, regularly use a moisturizing lotion with petroleum jelly. Apply a generous amount on your arms and legs after a bath, before going out, or whenever you need a moisture boost. For more information on how to fight El Niño and Xerosis, go to the Vaseline Facebook page.